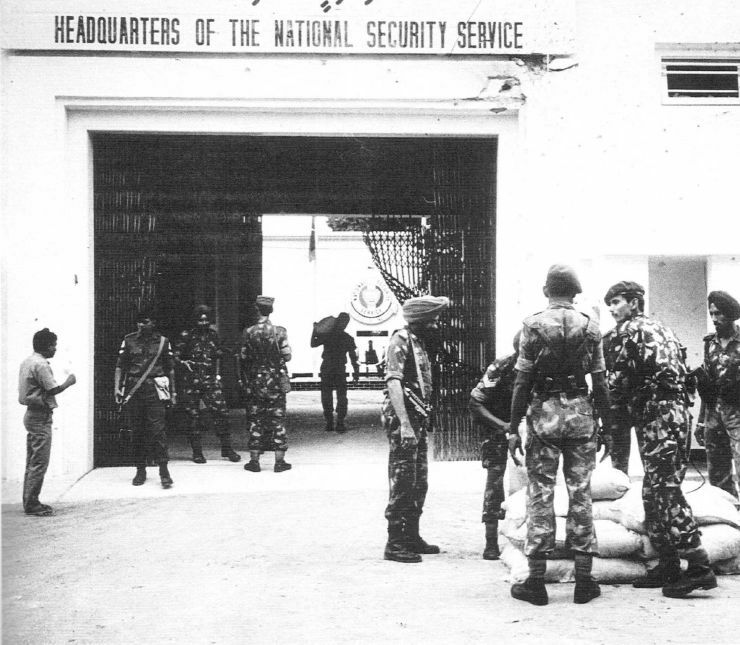 Personnel for the 50 Ind Para Bde and local militia men with a PLOTE miliant under arrest. 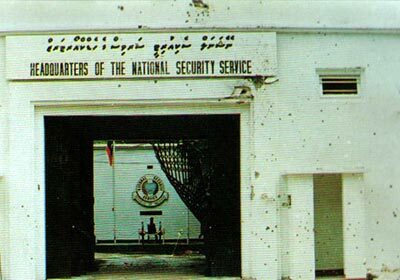 Bullet riddled walls of the Malivian National Security Service (NSS) head quarters which was attacked by PLOTE invaders. 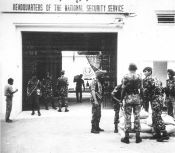 Security forces at the NSS compoud after it was secured. 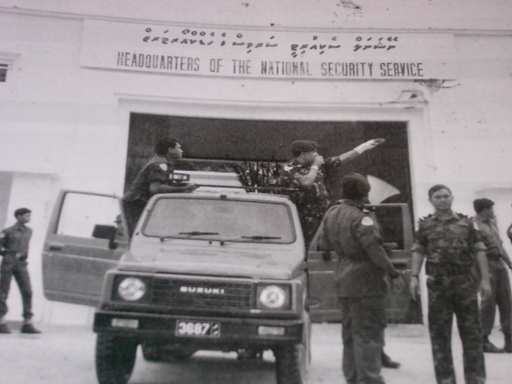 The 4x4 is a Suzuki Jimny belonging to Maldives. 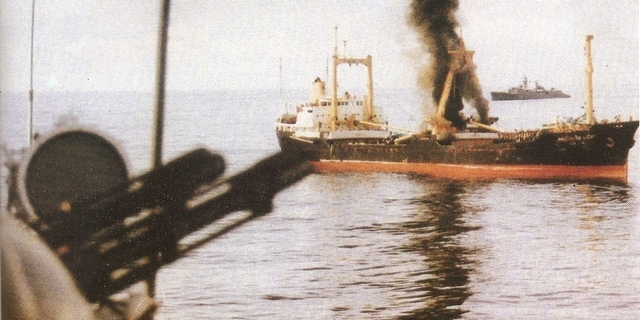 Attack underway on the escaping vessel MV Progress Light with the hijackers and hostages. 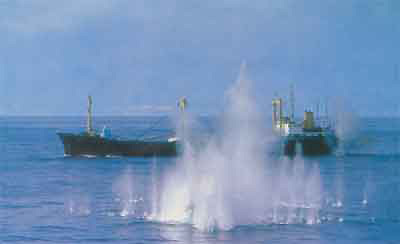 Smoke blows from the ship under siege by the Indian Navy. 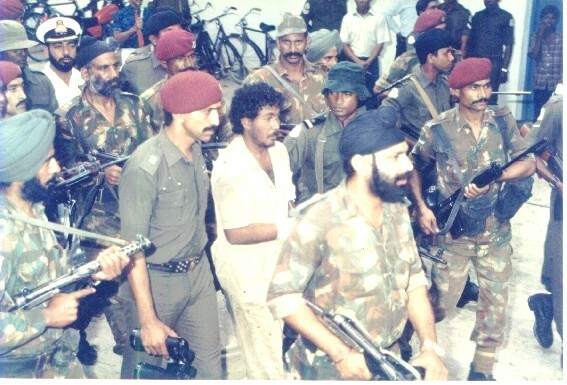 Personnel of the Indian Marine Strike Force (IMSF) - now known as the Marine Commando Force or MARCOS - guard the commander of hijackers after boarding the ship.